For the first 15 months of Rosebud’s life, we co-slept. While it’s not a good option for everyone, it’s what worked best for us. 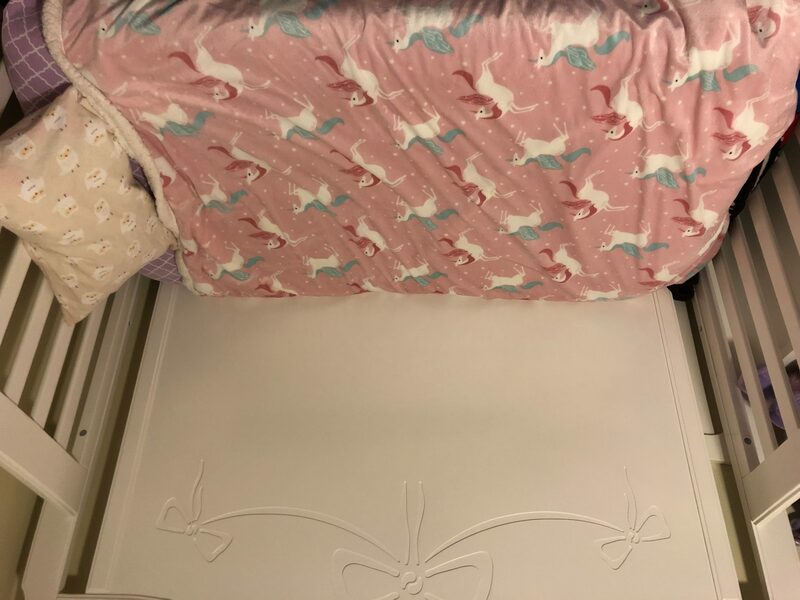 I will write about my experience with co-sleeping in a future post, but this post is about our transition into her own toddler bed. I have to say I was pretty lucky. Our transition wasn’t as hard as it could’ve been. I had a few essential items that definitely helped with this process. I have to say that buying a decent mattress for Rosebud made all the difference. When I first bought her crib, I bought a relatively cheep mattress to go with it. It was one of those mattresses that made a lot of noise when you put the baby in the crib. I’d rock Rosebud to sleep, but then when I’d lay her down, the noise from the mattress would wake her up. Then she knew what I was doing, so there was no chance of putting her back in her bed. We went through this routine for about a weak until I started wondering about the mattress. I figured that since my mattress is memory foam, maybe if she had one like mine, she’d be more comfortable. I wondered if they even made a mattress like that for toddlers. After a few clicks, I purchased one from Amazon. Two days later, it arrived and that very night, Rosebud slept comfortably in her bed through the night for the first time. This mattress is a little more expensive than the average, but it has been worth every penny. It comes with a water proof cover to protect it and more importantly, it seems comfortable. Not too squishy, but not too firm. 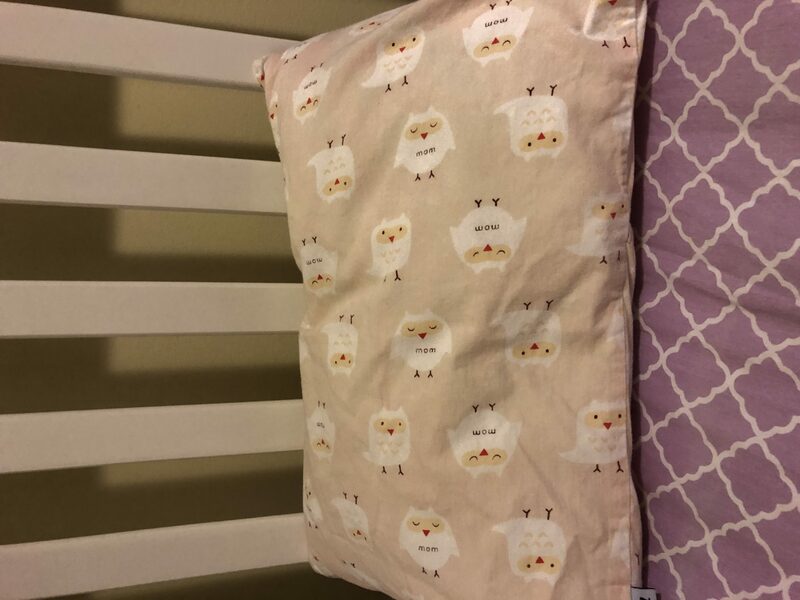 I just want to mention that I wouldn’t have felt comfortable buying this if Rosebud were still an infant, but since she was well passed her first birthday, it was a safe option. Rosebud was excited to finally get her own pillow. This was another great find on Amazon. It’s the perfect size for a toddler. I got it for her for her first birthday and she carried it around everywhere. She’s had a couple different blankets over the past year, but the most recent one I bought is her favorite. She says it’s cozy and soft. This is her first larger blanket and she loves it. It’s warm, washes well and is extremely soft. The unicorns are also a plus. Since I wouldn’t be right there next to Rosebud anymore, I had to help her find a special stuffed animal. 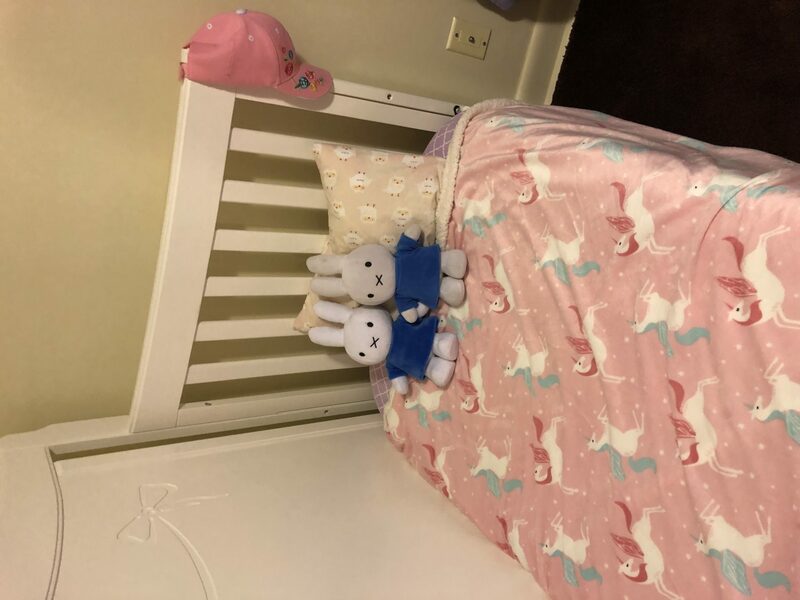 She has several on the end of her bed now, but the one she always chooses to sleep with is Miffy the Bunny. In fact, I just got her another one for her third birthday since the first Miffy she had no longer talks. It doesn’t matter though because now she takes both of them to bed. 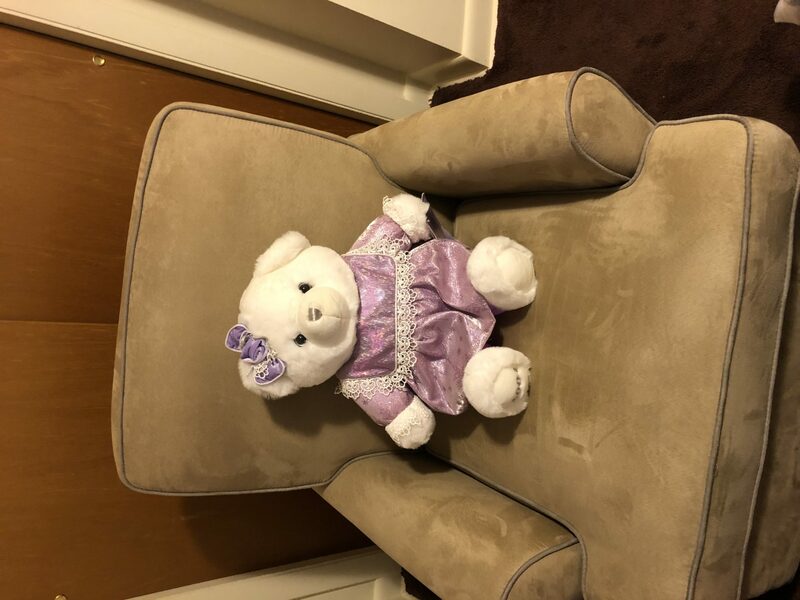 Throughout her infancy and when she was a young toddler, she didn’t seem interested in getting attached to any of her stuffed animals, but as she’s gotten older, they have provided her comfort. This has been a big one for me. Rosebud has always liked being rocked to sleep. During her first year, I had a standard rocking chair made for a nursery. The chair was good for a while, but I’d get sore after sitting in it for long periods of time. Not to mention, it was small and cramped. After it broke from being used so much, I took the plunge and bought a more expensive rocking chair. I bought the beige version as it fits better with the colors in Rosebud’s room. Now that Rosebud is three, she usually falls asleep in her bed, but occasionally she still likes to be rocked. We also use the chair for snuggling up to read books every night. If you have an infant or toddler, you’ll definitely want to invest in a decent chair. You might be using it for years to come. Rosebud is a light sleeper and in our neighborhood, we might hear barking dogs, lawn mowers or snow plows depending on the season. Everything wakes her up. 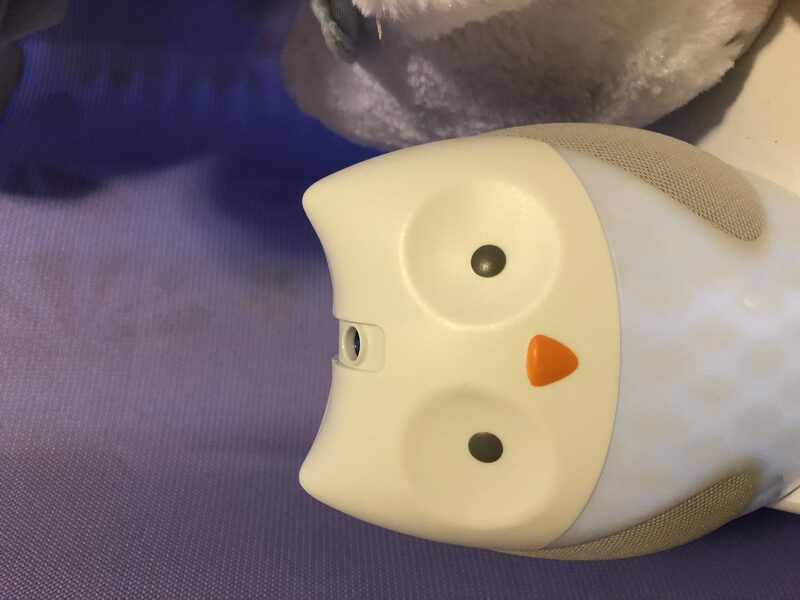 When Rosebud was an infant, I found this owl soother and baby night light. It plays sounds, lights up and has a projector. there is only one image of the moon and stars, but it is perfect. It’s not too bright and the machine doesn’t make loud noises like they do when they are switching images. The light can be bright or dim. There are several sounds to choose from. Our favorite is the ocean, but there is white noise, a heartbeat and lullabies. There are so many sound machines to choose from. It all depends on what you want. Whether you want a night light, just sounds or an image projector. This one has the best of all worlds and you don’t have to use the features all at once. The important thing is Rosebud sleeps undisturbed because it helps block out noise. I also have a couple extra things I inc. into our night time routine. The first was books. We read several stories and then end with, Time for Bed by Mem Fox. In this book, all the animals are going to sleep. She asks for this book almost every night so it has become our ritual. Another thing was music. When I’d rock Rosebud to sleep, I’d play piano music for her. She has now decided she didn’t want music anymore, but for a long time, it helped her relax before bed. I have a Spotify subscription. You can either build your own playlist or choose from ones they already have created. 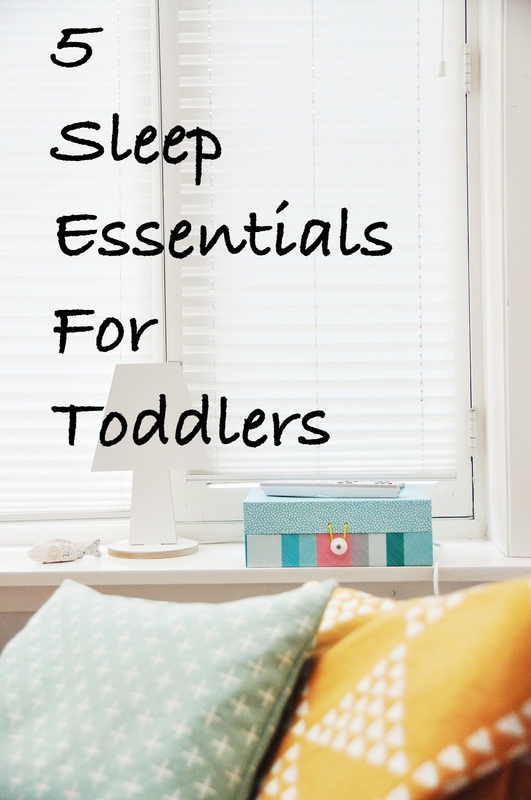 We all know a well rested toddler means more sleep at night and a better day for us parents. 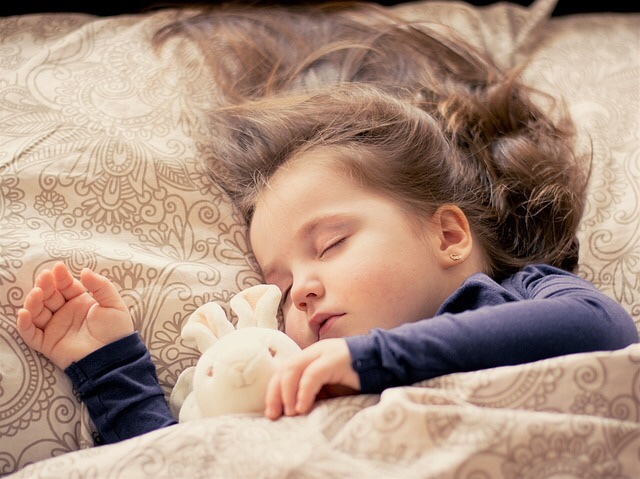 What has made your child’s bed time a little smoother? 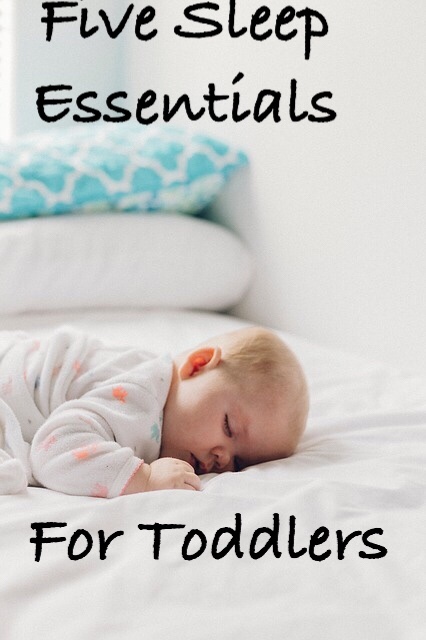 What are your must haves to help your toddler sleep? Tell me in the comments. Great tips! I wish my toddler would sleep with a stuffy, but he prefers a plastic airplane- not as cuddly! My daughter goes through those phases as well. I’ll find books and plastic toys in her bed. She wasn’t interested in stuffies until she was maybe 18 months. By the time she was two, she decided on her favorites. Thanks for commenting. Love these ideas. I’ve been meaning to buy a toddler mattress. Buying that mattress was the best thing I ever did. Lol If I hadn’t, she’d probably still be sleeping in my bed. It was a game changer. Thanks for your comment. There are parts that I miss too. Others not so much… I miss her being that little and snuggling up next to me. Thank you for your comment. Great tips! We love our sound machine. White noise is a great thing! Yes, definitely! It blocks out sounds from noisy neighbors. Thank you for your comment. Well, one person can’t think of everything. Especially when they are sleep deprived. 🙂 That’s why us moms have to share and help each other out. Thank you for commenting.